I am sometimes sensitive to dairy. It makes my stomach cramp quite badly in the middle of the night, so sometimes, I try to switch up my meals to a more veganized approach. Unfortunately, I also have quite a sweet tooth. The most common solution I’ve heard is banana ice cream. Double unfortunately, I hate bananas. 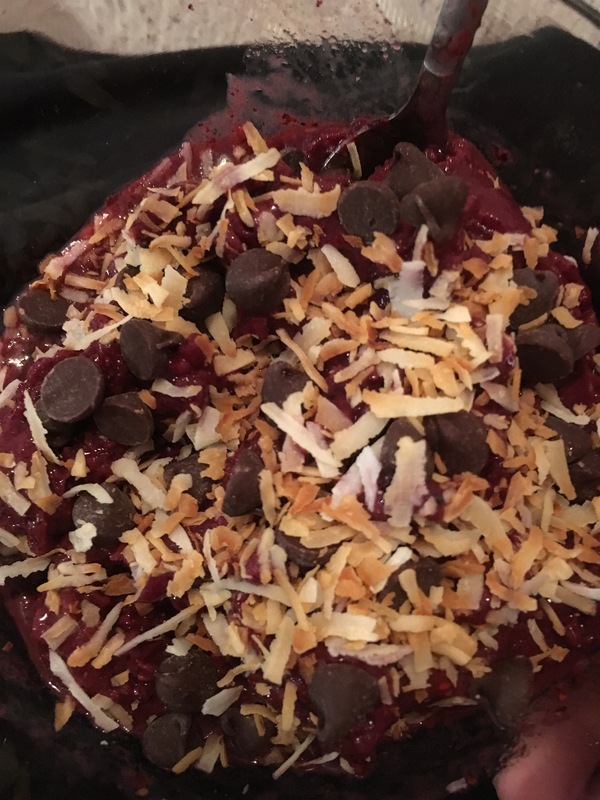 For those nights when I need some sweetness, I made this delicious recipe for some blueberry ice cream with coconut and chocolate. It’s so simple, you won’t even have to wait for it to freeze to dig in. •optional fruits: pineapple, mango, strawberries. I imagine using this recipe with everything. A lemon blueberry ice cream with a cashew cream “cheese” drizzle. A strawberry vanilla iced cream with shortbread bits. Use your imagination, and this could be an insanely versatile and yummy treat, although it’s delicious as it is!